The Gainsborough (UK) specialist in personalized gifts, garment decoration, promotional products and photographic prints was founded by Samantha Frost in her garage four years ago. Since then, rapid growth has resulted in the move to a two-story store. “We purchased the system from Novachrome at the Printwear & Promotion LIVE show in Birmingham, in January, and we are not regretting our investment,” Frost said. “The VJ 628 printer has put us a league above our competitors. It has opened up huge new markets for us." The new system joins an A4 and an A3 sublimation printer using Sawgrass SubliJet-R inks. 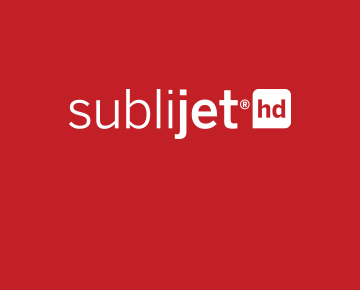 The Virtuoso 25" / 630 mm 8 Color HD Product Decorating System's A1 VJ 628 Virtuoso printer uses four of the five ink sets in Sawgrass' SubliJet-HD family of inks, and comes equipped with CreativeStudio Online Designer and Virtuoso Print Manager software. In addition to the competitive advantage they have found with Virtuoso, Fun Printz is also delighted with the features offered with the Sawgrass CreativeStudio Online Designer software. “We absolutely love the user-friendliness of CreativeStudio Online Designer and the additional features of Virtuoso Print Manager,” Frost said. “Without any training, we manage to achieve everything we want with perfect results. We produce large bulk prints for mugs, and CreativeStudio nests all the jobs we need with ease. “Sawgrass was the obvious choice for us. We opted for the VJ printer due to the trusted name of Sawgrass. We have used Sawgrass inks since we started and they always give perfect prints, as well as brilliant customer support. I cannot recommend this printer enough if you wish to move your printing business above the competition. We are more than confident that with Sawgrass’ support we will continue to grow."